People will notice your successes. Because focusing your efforts pays off, the only eyes likely to notice flaws in your garden will be yours. 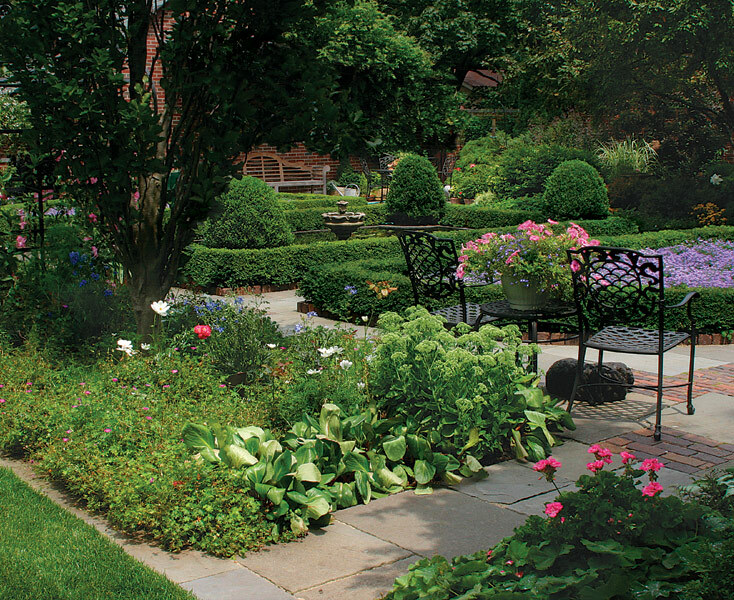 As much as we love our gardens, there is nothing so stressful as when we open them to party guests or a neighborhood tour. 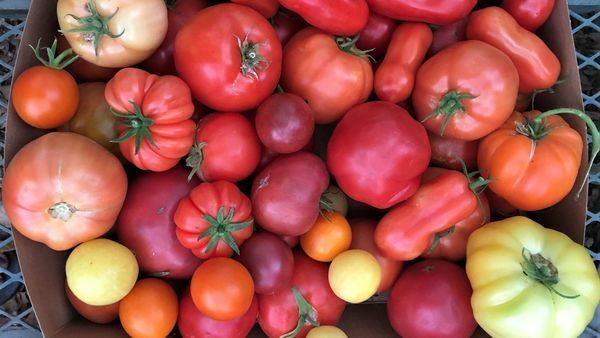 Part of the pleasure of gardening is sharing our creation with others, but the days that lead up to an open house are invariably filled with doubt and worry. 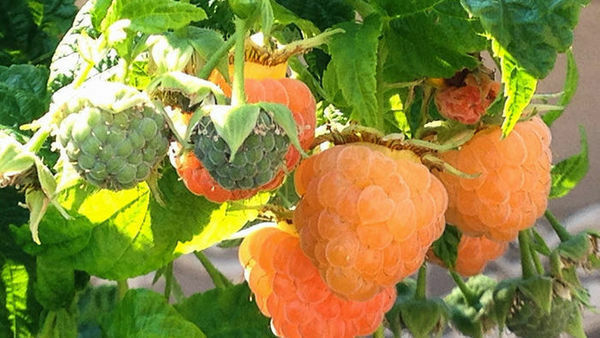 We are suddenly confronted with the reality of our less-than-picture-perfect garden and limited time to whip it into shape. 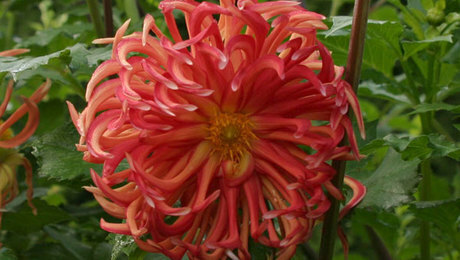 As a professional gardener, I have a lot of experience preparing gardens for parties or other functions. As a result, I’ve developed a surefire method for quickly getting a garden into shape. First, I assess the situation to determine what improvements will have the most impact. Next, I clean up the most visible problems. Finally, I enhance these areas with quick embellishments. I call it the ACE method: assess, clean up, enhance. 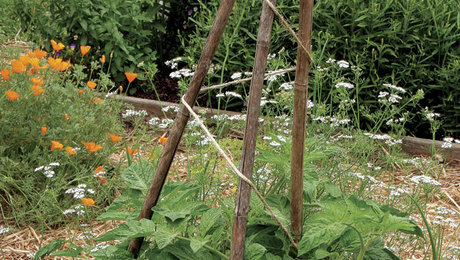 It’s a simple technique all gardeners can use to make their garden look its best fast. 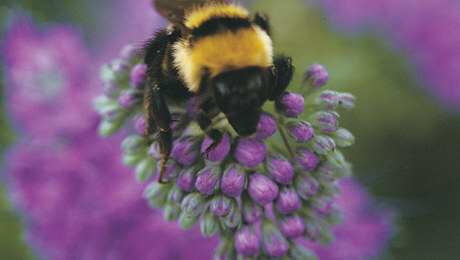 Like bumblebees, guests are naturally attracted to flowers. 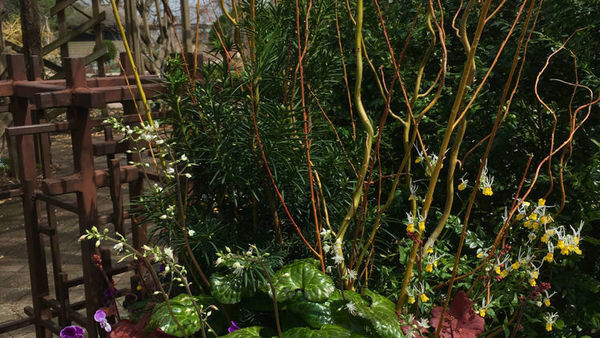 While assessing where to use your efforts, notice if anything—like weeds—will detract from a scene your visitors are sure to notice. Removing the eyesore makes a big difference. 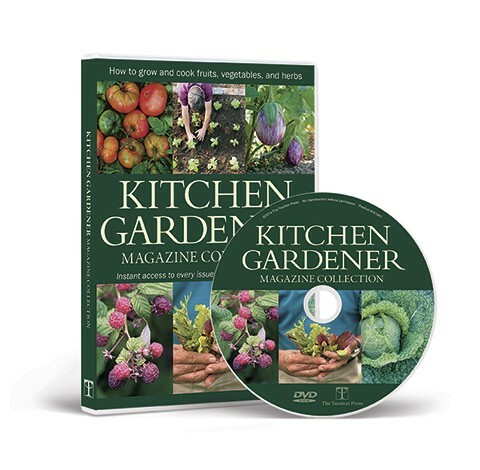 Whipping your garden into shape in a hurry isn’t difficult if you first decide exactly what needs to be done and plan your work accordingly. 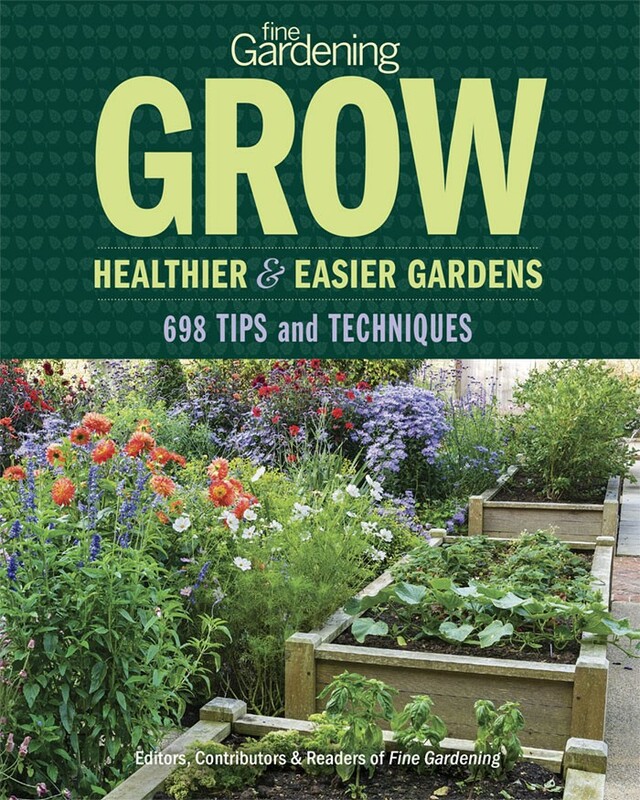 Take a moment to observe your garden, determining what problems stand out, and choose what to do based on what areas will be most noticeable. Find the gathering spots. At parties, people tend to cluster, so focus your attention where guests are likely to gather—a shady spot on a hot sunny day or a sunny area on a cool spring morning, for example. Look for obvious flaws. Stand where you expect your guests to gather, and identify problems they are sure to notice based upon what catches your eye. Dead limbs, tall weeds, and broken patio stones are obvious examples. Focus on the flowers. 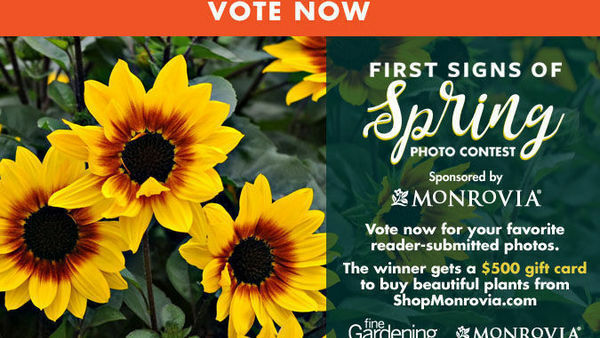 Because seasonal blooms will attract the most attention, work also in areas that have the most flowers, like the tulip bed in early spring or the perennial border at the height of summer. Improving these areas first will have the greatest impact. 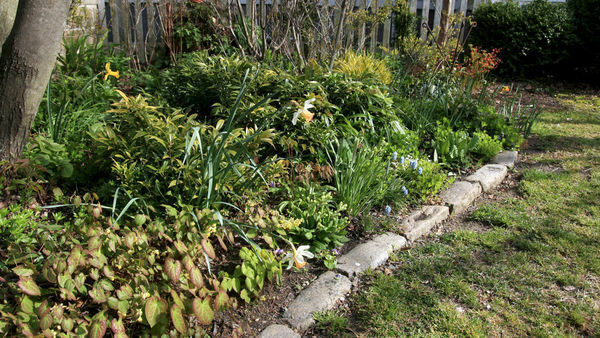 …and makes everything around it—plants, lawn, and paths—look better. Once you figure out what areas need improving, turn your attention to ensuring that these spaces are simple and clean in preparation for the enhancements to come. 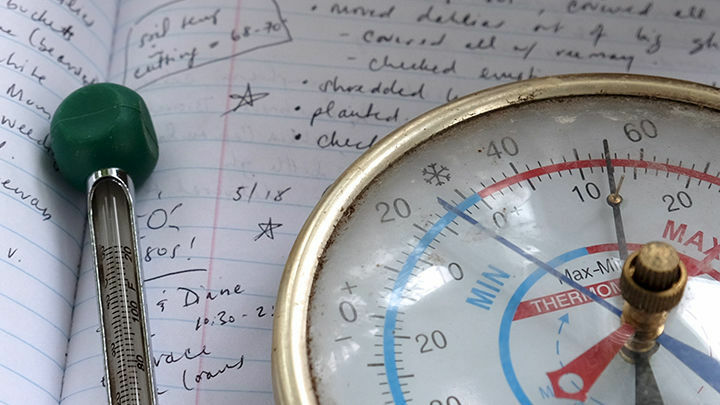 My to-do list always includes the following tasks that make the garden look its best. Make room for the living. 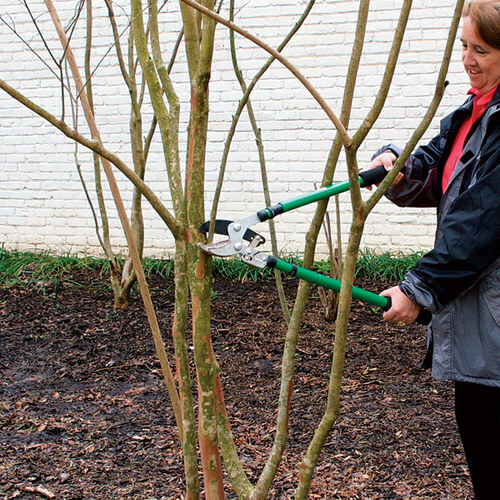 Prune out dead branches and remove dead plants, roots and all. 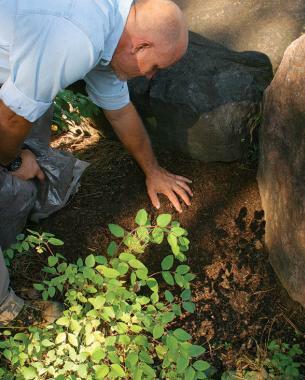 This step goes a long way to making a garden look fresh. If you create a hole in the design make a note to fill it in with flowers. Attend to the lawn. Mow, trim, and edge. 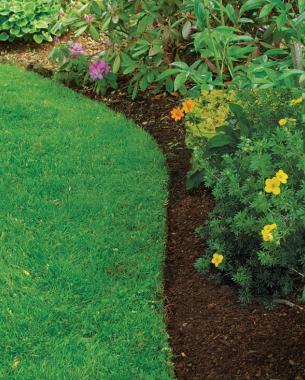 Crisp edges between beds, lawn, and hardscape make a big difference between a garden that looks neat and orderly and one that looks uncared for. 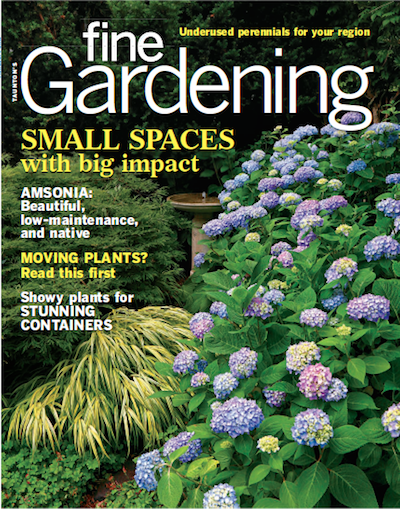 Deadheading makes a difference. A few short minutes removing spent blooms will let your flowers get the attention they deserve without any unsightly distractions. Remove distractions. 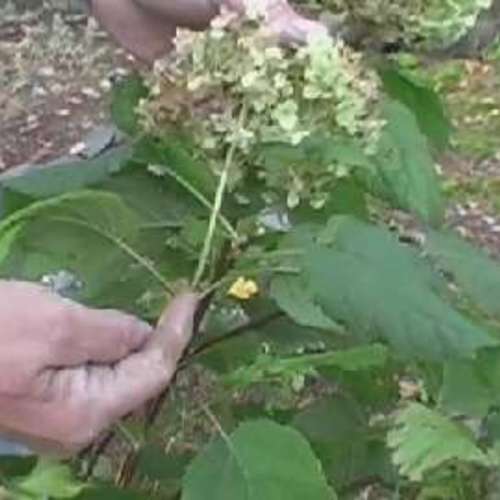 Deadhead spent flowers, stake flopping stems, and remove unsightly perennial leaves that may detract from the scene. Do this a day or two before the event so that it still looks tidy on the big day. Eliminate interlopers. Pull the obvious weeds, but don’t get carried away: No one will notice the newly sprouted clover beneath the perennials. 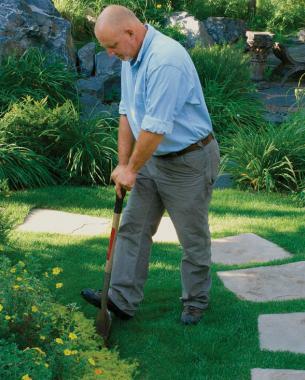 Pull any large weeds in gravel paths, and pass a lawn rake across the gravel to erase lumps. Do some outdoor housekeeping. If you sweep the patio or deck, you will make the entire garden look better. A cracked or stained concrete patio can be “mended” by covering the flaw with a flower pot or outdoor rug. Clean hardscaping connotes care. Wipe down outdoor furniture, and put away items that aren’t necessary for the party. Drain small water features, clean out any debris they may contain, and add fresh water. 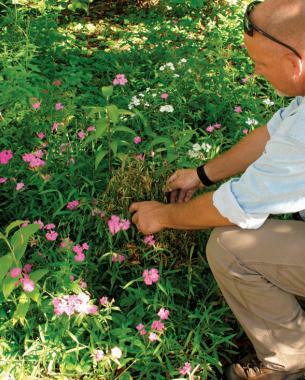 When you want to get your garden looking its best fast, stick to this three-step process to make the most of your efforts. • Determine where people will gather. • Find the most noticeable problems. • Identify areas with seasonal interest. 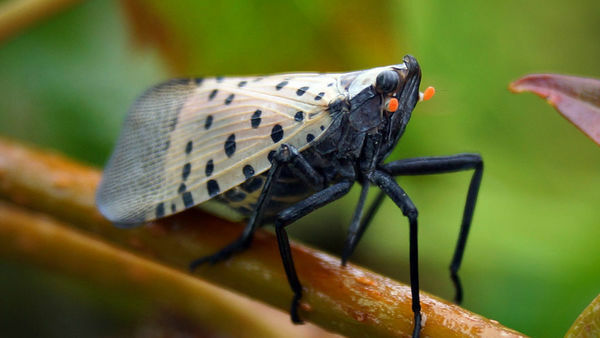 • Remove unhealthy plants and plant parts: dead plants, dead branches, dead leaves, weeds, and spent flowers. 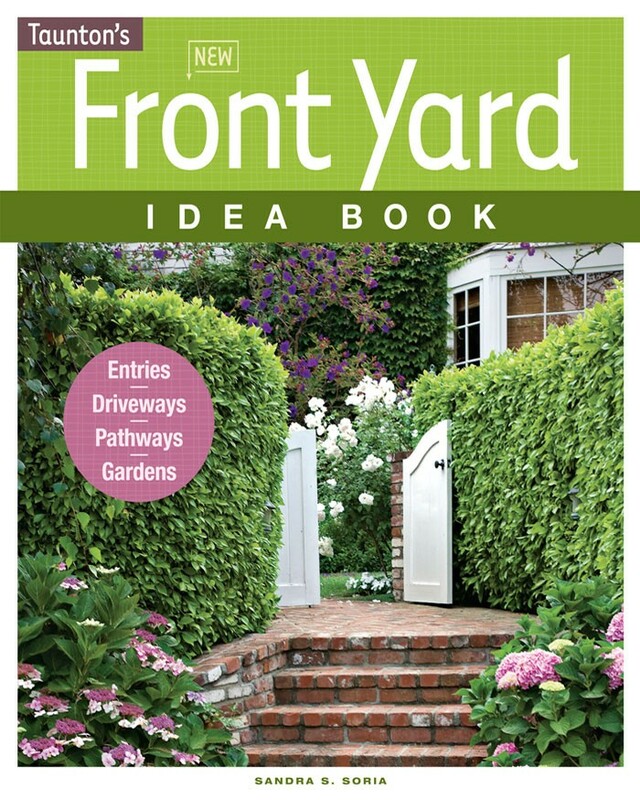 • Create crisp lines by mowing, trimming, and edging the lawn. • Clean all hardscaping. Sweep or power-wash patios, paths, or fountains as needed and as time allows. • Capture your guests’ attention with an eye-catching table and a beautiful patio stage. • Add color for interest. 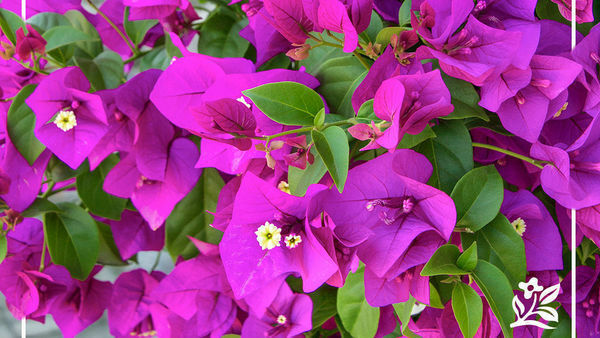 Install blooming or bright-foliage plants where they will make a difference, either in colorful pots or to fill gaps in beds. • Design an inviting entry. 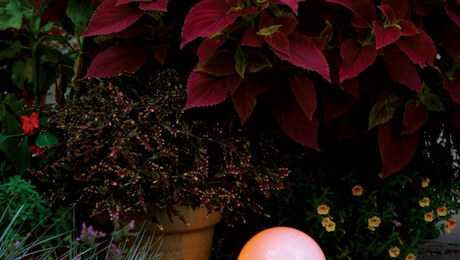 Include elements from your garden to hint at what guests will experience inside. • Add fresh mulch. A thin layer, just enough to cover the old mulch or to cover any bare patches, will do wonders. Mulch makes everything else look good. Like a frame for a painting, fresh mulch sets off what it surrounds. Once you’ve cleaned up the obvious trouble spots, keep eyes from wandering to other problem areas by improving the places you or your guests are most likely to look at. Whatever you do, have fun and do it because you love it. People will pick up on your enthusiasm and enjoy the garden for what it is: a reflection of the gardener who created it. Make a good first impression. Whether it’s the front door or the garden gate, the first thing guests see will set the tone for how they will experience the rest of your garden. It doesn’t have to be elaborate, but a clean, tidy, and colorful entrance is always inviting. Put your containers to use. If the event is on a patio or if that is where you most often enjoy the garden, make it center stage with colorful containers and comfortable furnishings that draw the eye. Bringing containers with lush plants onto the patio makes nearby plantings lacking in substance blend into the background. 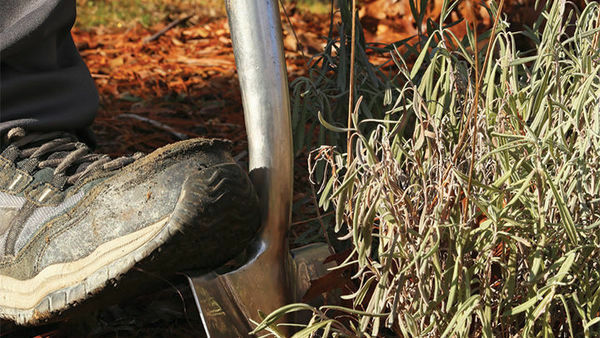 When mulching, stick to natural colors, like shades of brown; avoid garish orange options. Add new plants where they will be noticed. Focus on the beds closest to the main gathering spot so that the plantings will look fresh. Buy big and buy a lot for an immediate impact. 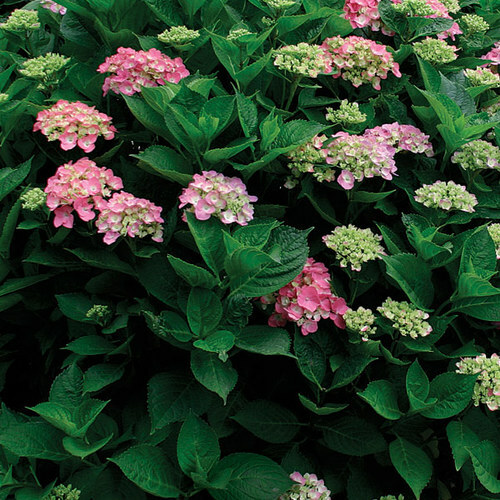 Steer clear of moisture-loving plants: wilted, stressed-out plants will only detract from the effect. 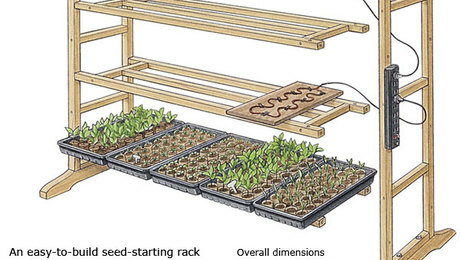 Bury the entire plastic container in the ground to forgo transplant shock, water the plants daily, then go back and plant them properly after the party. 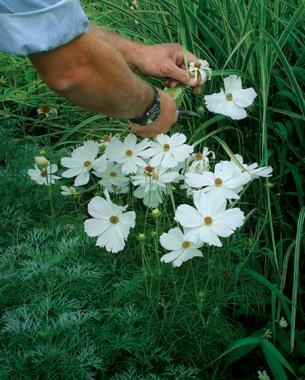 When using flats of annuals, plant the entire four- or six-packs as one plant to create instant fullness. Focus on plants you love. 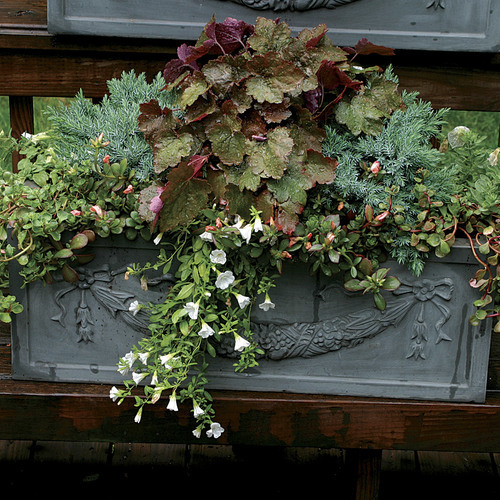 Indulge yourself by putting together a container grouping filled with plants you love. Your attention will be captured by this scene instead of the perennial bed that needs renovation behind it. 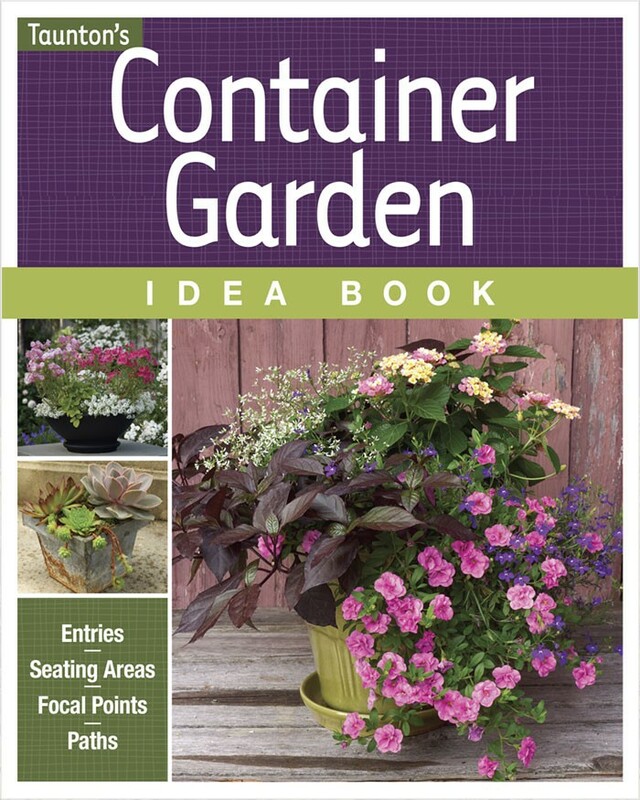 To save time, you can simply drop the nursery containers your plants came in into your planter. If you do nothing else, apply fresh mulch. 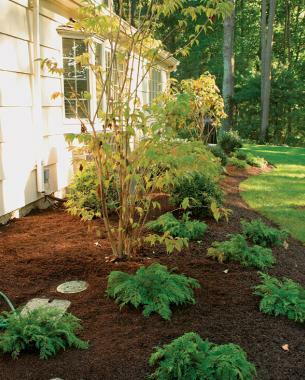 Mulch serves as a great background for new plants and is a surefire way to create a finished look. It even smells clean and fresh. 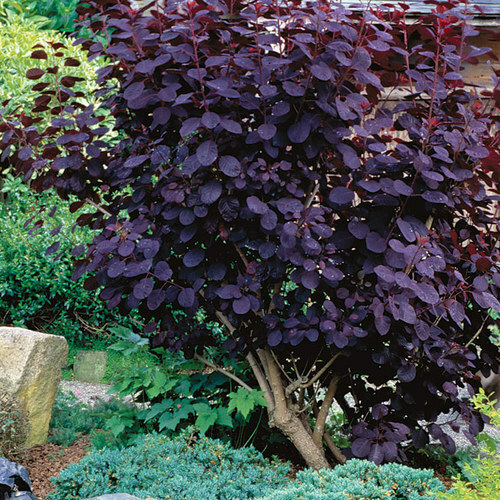 Buy the finest-textured mulch you can find for a simple, uncluttered appearance. Although more expensive than buying in bulk, bagged mulch is easier to spread and doesn’t involve a lot of shoveling and hauling. Creating a decent garden is a great job, which also requires all focus, lots of time and seeing the full image of the planned result. I was at the artificially placed gardens on the roof of a small house in Vegas, when travelling there with https://best-vegas.com/broadway-shows/ to see broadway show, and I was so impressed with love and patience the owner treats all plants.